I have a chapter, ‘”Rise in the Scale of Being’: Jonathan Clarkson Gibbs, Philadelphia. 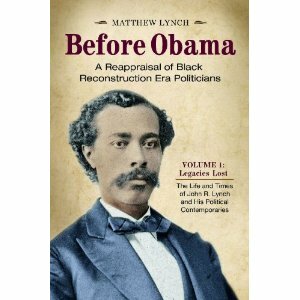 Ministry, and Florida Politics,” in the forthcoming “Before Obama” anthology. It is scheduled to be released on October 31, 2012 – it’s time to preorder!